Home > News > Entertainment > Movie Odds: What’s Next for DC Animated Films? Movie Odds: What’s Next for DC Animated Films? As much as people praise Marvel for the way it has constructed its cinematic universe, DC has also been successful with its comic book-to-screen adaptations. Wait, I know what you’re going to say: what about recent DC films like Batman v. Superman and Suicide Squad? Yes, those films were critically panned, and we hope the recent Wonder Woman feature puts the DC Extended Universe (“DCEU”) back on the right path. But outside of the big cinema, DC has found great success with its animated features (a.k.a. the DC Animated Movie Universe, or “DCAMU” as the kids like to call it). With the popularity of Batman: The Animated Series in the mid 90s, and other TV shows like Justice League: Unlimited, Warner Bros. Animation felt it had a large enough audience to create standalone animated movies. It was a bold move that enabled them to create some of the best comic adaptations we have seen on the small screen. Some of DC’s great comics of the past, as well as some new stories, have been adapted and neatly packaged in 75 minute features targeted towards a more mature audience. In total, Warner Bros. Animation and DC Comics have created 30 animated films over the course of the past decade. Some have achieved critical acclaim (e.g. Batman: Under the Red Hood, Justice League: The Flashpoint Paradox), while others have been heavily criticized (Batman: The Killing Joke). There was a lot of hype regarding Batman: The Killing Joke as it was an adaptation of an extremely popular graphic novel by Alan Moore. It was also DC’s first animated feature released on the big screen with an R rating, so there were lofty expectations. Unfortunately, the film didn’t resonate with fans or critics, who felt the movie took far too many creative liberties with the source material. Overall it was still a bold move by Warner Bros. Animation and it is clear they are willing to take risks, which fans appreciate on the whole. All you have to do is look online to see the number of fans clamoring for other great comics of the past to get their time in the DCAMU sun. Since 2014, DC has followed a certain model when it comes to releasing these films: two set in the “New 52” continuity – one Justice League, one Batman – as well as one standalone flick that doesn’t fall within any continuity. This year at San Diego Comic-Con, WB/DC announced that they will be doing a Batman and Harley Quinn standalone film, and a Teen Titans flick called The Judas Contract. 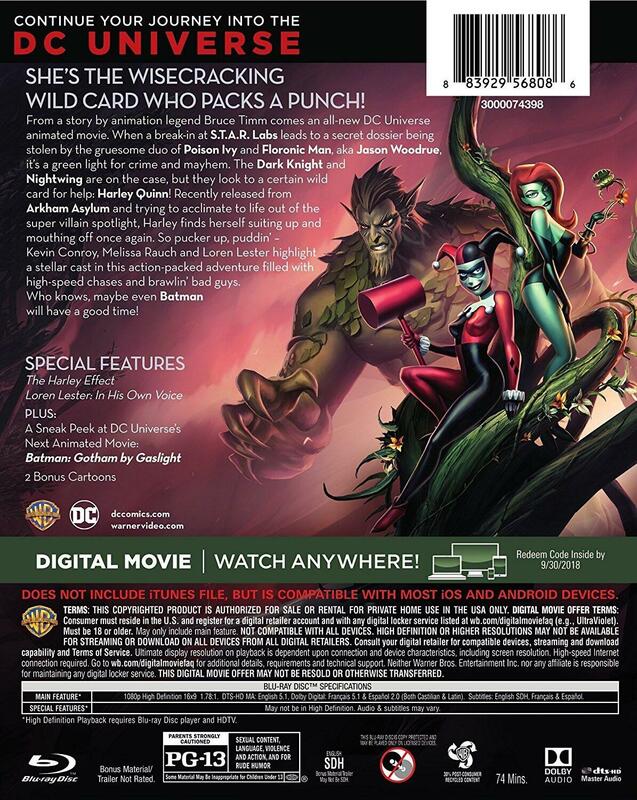 Recently though, someone on Reddit shared an image they found on the back of the box for the upcoming direct-to-video release of Batman and Harley Quinn which said the next animated movie would be Batman: Gotham by Gaslight. It’s considered the first story in DC’s Elseworlds line of alternate reality adventures, and it’s a fan favorite. DC hasn’t confirmed this news yet, but all signs indicate it’s moving forward with that title. What other classics can be dug up and made into an animated feature? Let’s muster up all the super powers we have and peer into the future of the DCAMU. Below are six stories I would love to see DC adapt along with the odds of it happening in the next five years. Back in 2015, there was some buzz that HBO was interested in developing a full television series for the iconic graphic novel. Those talks didn’t go anywhere but according to Variety, HBO still has interest and it appears they are currently talking to Lost and The Leftovers co-creator Damon Lindelof about developing a TV series. 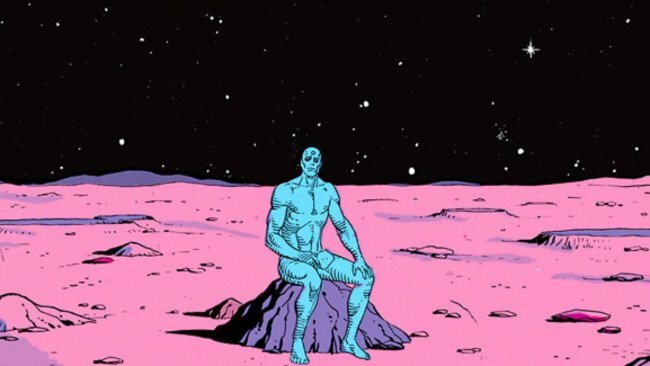 Although a film adaptation of Alan Moore and Dave Gibbons’ comic was released in 2009, the new series apparently will not be connected to that Zack Snyder-directed movie. Watchmen centers around a group of costumed crimefighters, including Doctor Manhattan, Rorschach, Nite Owl, and Silk Spectre, who unearth a massive conspiracy when investigating the murder of the government-sanctioned hero Edward Blake. Right now, all of this is just preliminary talk, but odds are that this gets greenlit. While this won’t be a movie per se, it will be a highly anticipated, R-rated DC animated series. This was a 13-part Batman series by Jeph Loeb and Tim Sale that ran between 1996 and 1997. The dark tone inspired a similar tenor in Christopher Nolan’s 2005 Batman Begins. The story focuses on a young Batman attempting to solve the mystery surrounding a serial killer who commits murder every holiday. Loeb fills the comics with several popular characters but it’s Gotham’s mobsters, a pre-Two-Face Harvey Dent, and Commissioner Gordon who play the pivotal roles. The combination of Sale’s artwork and the well-written story make this series a mainstay on the best-of-Batman comic lists. 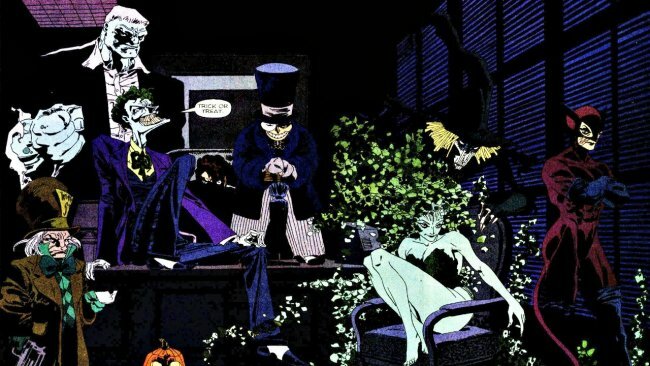 Now that we have seen DC/WB Animation adapt The Killing Joke, it wouldn’t be weird to see them take on some of the other popular Batman stories, and this one should be at the top of the list. Back in 2016 at the New York Comic-Con, Warner Bros. 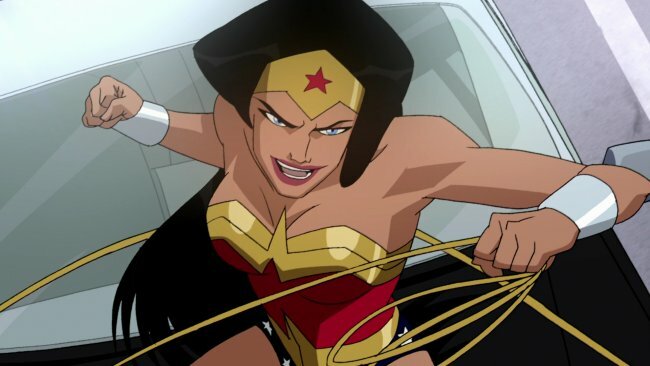 Animation supervising producer James Tucker was asked if there were any plans to give Wonder Woman a sequel to her 2009 animated feature. “We discussed with Warner video, and they have Wonder Woman on their radar in some form or fashion,” responded Tucker. It’s now 2017, and this year’s live action Wonder Woman film has been met with critical praise and a boat-load of money at the worldwide box office. The iron is hot, so you’d think now would be the time to strike. However, there doesn’t appear to be anything on the horizon, unless it’s being put together in secret. I don’t think I’m going out on a limb when I say that I fully expect DC/Warner Bros. to announce a Wonder Woman animated film for 2018 or 2019. 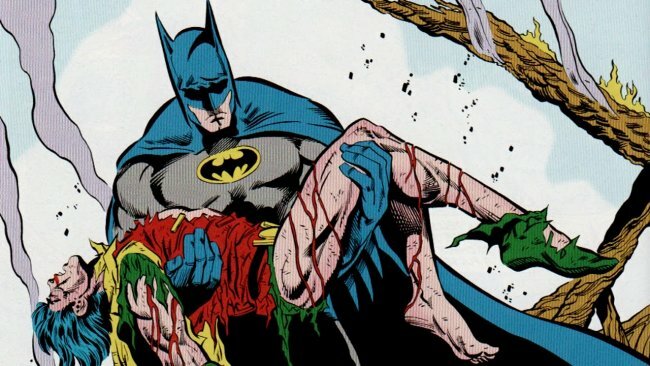 Back in 1989, a shocking four-issue Batman comic was released called “A Death in the Family.” As the story played out, fans were able to call a 1-900 number to vote whether Jason Todd, the second person to assume the mantle of Batman’s sidekick Robin, would live or die. Like The Killing Joke, this is an iconic story that many have wanted to see on screen. While participating in a panel at Canada’s 2016 Fan Expo, both Mark Hamill (who voices the Joker) and Kevin Conroy (who voices Batman) teased an animated film adaptation of “A Death in the Family” as something they would love to work on. They also mentioned the “Hush” storyline as well. It’s clear DC would love to see some of these classic stories get their time on screen; this is a decent bet to happen in the next five years. This is probably the most requested DC animated film there is. 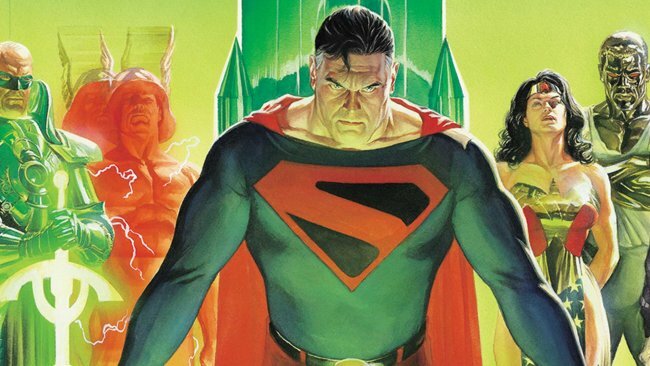 “Kingdom Come” was originally published in 1996 and took place in a future where Superman, Wonder Woman and other classic heroes had retired. A new generation of superhero had taken their places, but their methods were far more violent and they spent more time fighting amongst themselves than protecting the innocent. After a horrible incident kills thousands, the old Justice League comes out of retirement to save the world once again. The only thing stopping this classic story from being told is the artwork. Alex Ross’ images are considered some of the best artwork in comic book history. 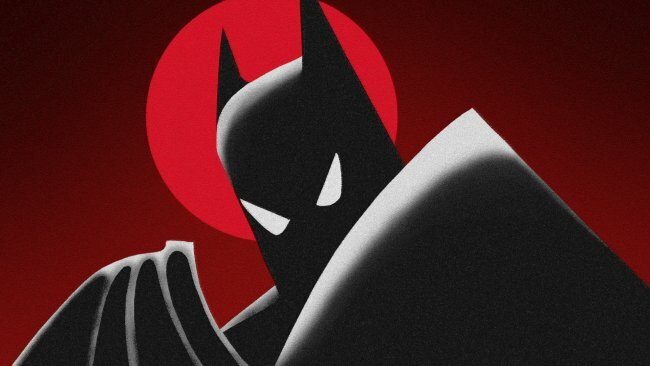 DC producer Bruce Timm has said that it would be impossible to do Ross’ masterpiece justice on screen. I don’t fully understand why the story can’t be told in a different animation style. But, for now, this will probably sit on the shelf, even though fans would love to see it. If you have ever seen the documentary The Death of “Superman Lives:” What Happened? 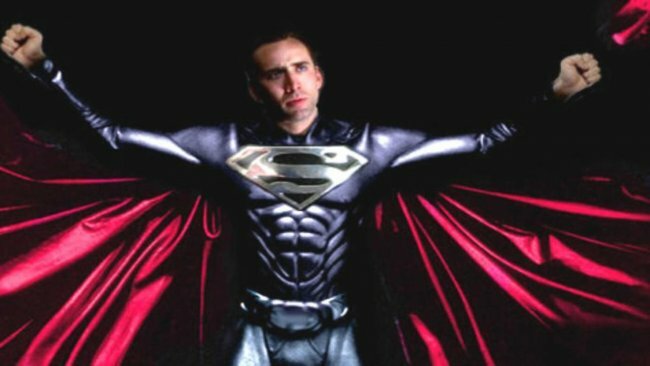 You would be familiar with Tim Burton’s Superman project that never came to fruition. It was going to star Nicolas Cage and one version of the script had been written by Kevin Smith. None of it panned out but Smith still has a script, and just last year he did a Q & A on Facebook where he expressed interest in seeing his work turned into a DCAU film. All of that is up to Warner Bros., though, and it remains a longshot; most people feel Superman is too squeaky clean to be popular among modern day fans. But Smith’s movies tend to have a certain edge to them (see Chasing Amy; Dogma), and his touch could give the Caped Crusader the rounded character traits fans want in their superheroes these days.